Maserati revealed a series of updates to the Quattroporte, the most obvious of which is revised styling inspired by the Alfieri coupe concept. The overall shape remains the same, but there’s a new grille and front bumper, matte black trim, and an active aero element similar to the air shutter on the Levante crossover that helps cut drag by 10 percent. The Modenese automaker also took the opportunity to update the interior, principally integrating a new 8.4-inch multi-touch dashboard display to replace the old 7-inch unit. Manipulated by a new rotary multimedia controller, the system supports both Apple CarPlay and Android Auto integration. A new driver assistance package available as an option, encompassing adaptive cruise control, lane-departure and forward-collision warning systems, and automatic emergency braking. There are two new trim packages as well – dubbed GranLusso and GranSport – that can be optioned on the Quattroporte S and S Q4 or chosen between on the GTS model. Under the hood, both engines carry over unchanged. Standard power still comes courtesy of a 3.0-liter twin-turbo V6 good for 404 horsepower and 406 pound-feet of torque, channeled through an eight-speed automatic transmission to either the rear wheels or all four. The GTS packs a bigger 3.8-liter twin-turbo V8, still rated at 523 hp and 524 lb-ft. 0-60 times as a result remain unchanged at 4.9 seconds for the Quattroporte S, 4.8 for the all-wheel-drive Quattroporte S Q4, and 4.6 for the Quattroporte GTS. US pricing will be announced “in the coming weeks,” we’re told, however Maserati will begin delivering the revised Quattroporte already this month. The relevant question is whether these changes can help Maserati take a bigger slice of the fullsize luxury sedan market away from rivals like the Audi A8, BMW 7 Series, andMercedes S-Class. 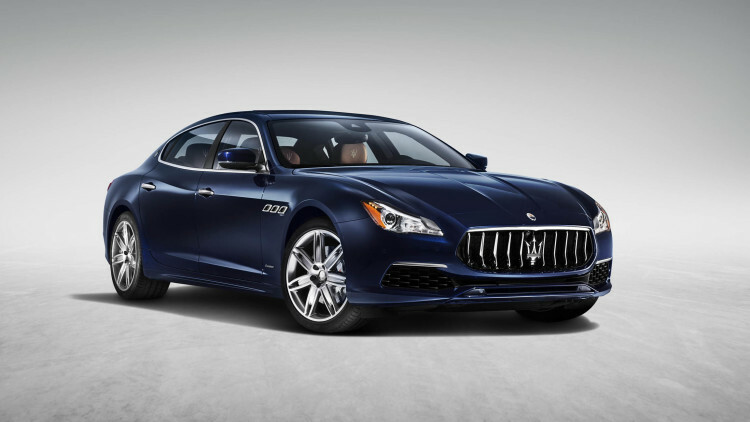 Maserati sold fewer models across its entire range in the United States last year thanMercedes did of the S-Class family, making the Quattroporte something of a footnote in this elite segment. If what we’re looking at here represents a mid-cycle refresh of the model introduced in 2013, it will likely be 2019 before FCA’s most upscale brand replaces its flagship sedan altogether.